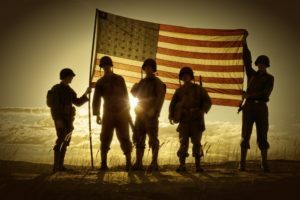 Veteran/Military Friendly Congregations – Page 5 – Congregation and ministry support for military, veterans and their families. 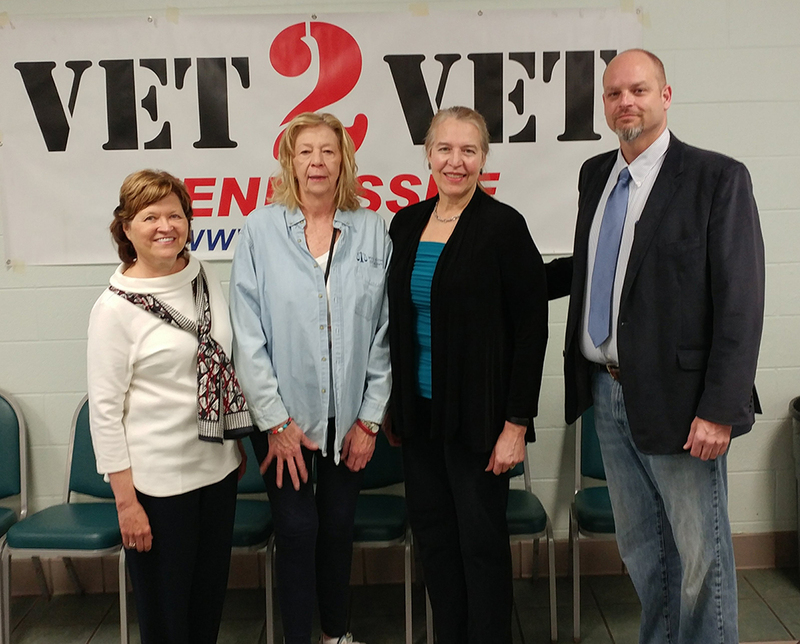 April 21st Vet to Vet Tennessee (VTVT) partnered with the University of Tennessee College of Law Professor Joy Radice, 10th Judicial District Criminal Court Judge Sandra Donaghy, Monroe County General Sessions/Veterans Court Judge Dwaine B. Thomas and Monroe County Court Clerk Marty Cook. 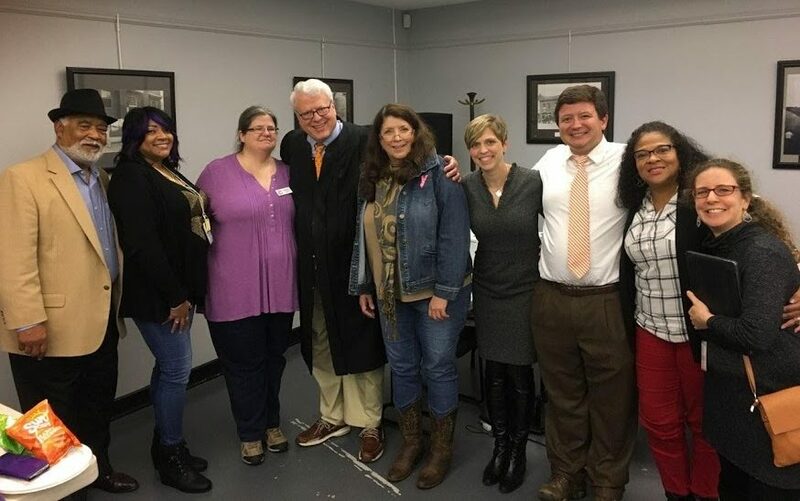 We are also grateful volunteers and support from the Knoxville Bar Association, TN Faith & Justice Alliance and the local pro-bono attorneys assisted by UT Law students, This was the second expungement clinic co-hosted by UT College of Law and VTVT. The clinic was held at Vet to Vet Tennessee’s Veteran/Military Friendly Congregation First Baptist Church of Madisonville, Tennessee. Thanks to First Baptist Church Pastor Chris Moore and his church members, this venue provided the clinic members and clients with a great environment to conduct court. Not only did they provide the facility, but they also provided 11 volunteers and breakfast for everyone. In two weeks, 280 individuals registered and approximately 200 attended the clinic. First expungement clinic to include a Circuit, Criminal, General Sessions and Veterans Court Judges. We had over 60 volunteers. Program was scheduled from 9:00am until Noon but but did not end until the last case was processed which occurred at 6:00PM. Before the opening comments at 9am, we were honored and surprised by a visit and support from Tennessee Supreme Court Justice Sharon Lee. Click here to view more clinic photos. On Februrary 7, 2018 Powell United Methodist Church Recovery & Disciplineship Pastor Brooke Hartman their Church into the VFMC program. MCA and Vet to Vet Tennessee (VFMC Regional Coach) are honored and blessed to have Powell UMC as our newest member of the National VMFC and thank Pastor Hartman for their enrollment. If you want to learn more about Powell UMC please visit their site by clicking here. Veteran/Military Friendly Congregation (VMFC) was conceived to promote a sense of community, acceptance and support for Veterans and their families. Launched by Faith-Based Communities, it has beome an integral part of the Faith Based Initiative. The mission is to mobilize an army of Veterans through diverse congregational groups who will support and assist those attending Veterans with special needs relative to their service. [read more=”Click here to Read More” less=”Read Less”] A key aspect of our Veteran Friendly program is building a support structure for military members, veterans, and their family members in each and every community. Congregations and congregation based programs are essential to getting this accomplished. 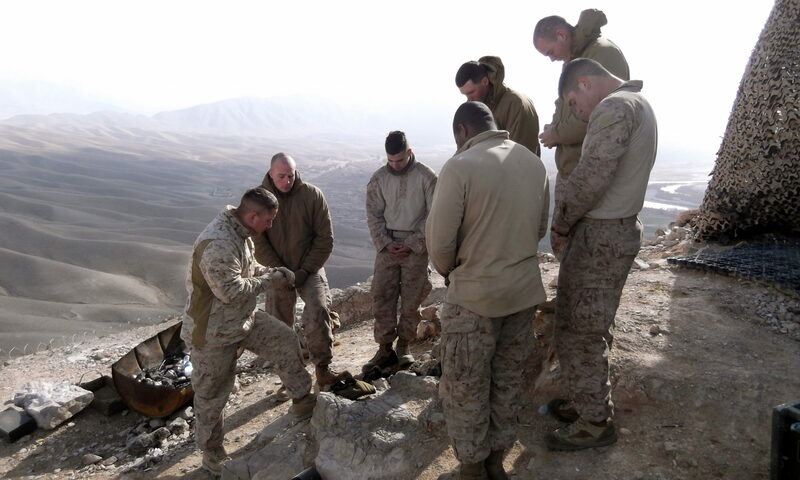 Building Military Ministries in each Congregation is our goal. Please help us reach our brothers and sisters around the country by joining the program. No cost to enroll. No annual fees. Just caring and sharing. Please leave of us a message below to learn more or to join the program.